If your team won that means the other team lost, of course. In arenas of sport or entertainment, that’s the nature of the game. In systems that require collaboration to succeed, however, sustained win-lose outcomes are far more detrimental: little productivity occurs. which increases the likelihood that the cycle is perpetuated, and the winners become losers and losers become winners all over again. Conversely, in collaborative systems, winners aren’t a segment of the whole. They are the whole. Building collaborative systems, however, is difficult, even scary. This is especially true when enough people associate winning with achieving justice or morality. 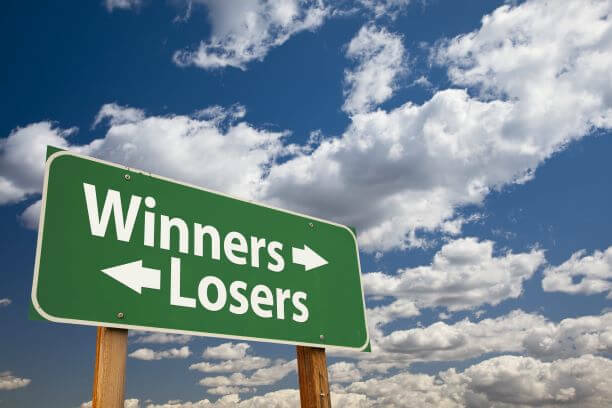 Now, if you’re a winner, the idea of including the loser in future decision-making means you would expose yourself to certain and serious risks: What happens if the loser doesn’t reciprocate and include you when they win? And what if showing empathy or using some of the ideas of the loser tells people that you are a loser, too? The non-collaborative system fosters two illusions: 1) That there are only two options available: win-lose or lose-win. And 2) that somehow, someway, if the losers can be put down enough (disgraced enough, insulted enough, rejected enough) then finally the winners will always win. But the cycle doesn’t work that way. So, with no common-ness, no shared vision, no collaboration, the opportunity for glory is lost to all. Worse, to win and dismiss those who have lost, as if their ideas and beliefs and way of being in this world is wrong, is to de-humanize all of us. But that doesn’t have to be the fate of any system. When enough people resist the urge to give up and instead become more engaged in ways that bring about win-win outcomes, a change can come. To be certain, there are people working to heal non-collaborative systems. They don’t tell ghost stories about who we are and instead elevate the narrative. They seek commonalities. They support others in moving beyond the boundaries of their current thinking to redefine and expand the definition of team. They care more broadly. Did your team win? Not if there was a loser.